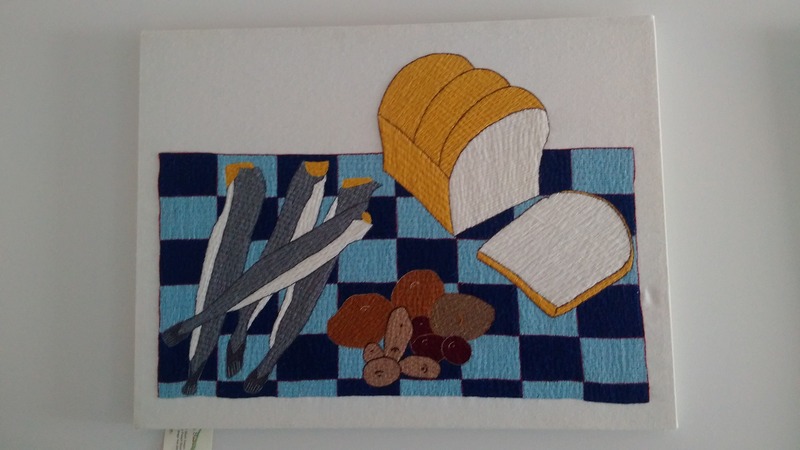 The creative community of Conche is where I purchased this tapestry of embroidered bread and caplin. 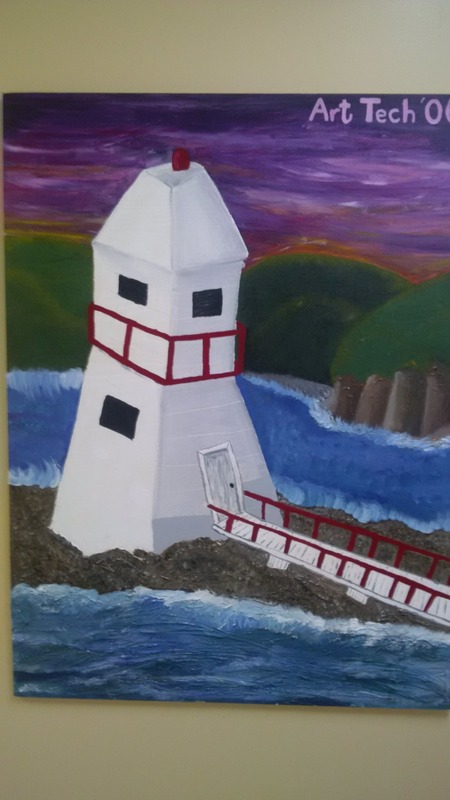 It sits in the public gallery at the Straits-White Bay North Constituency Office at 279 West Street, St. Anthony along with other art for anyone wish to view them. 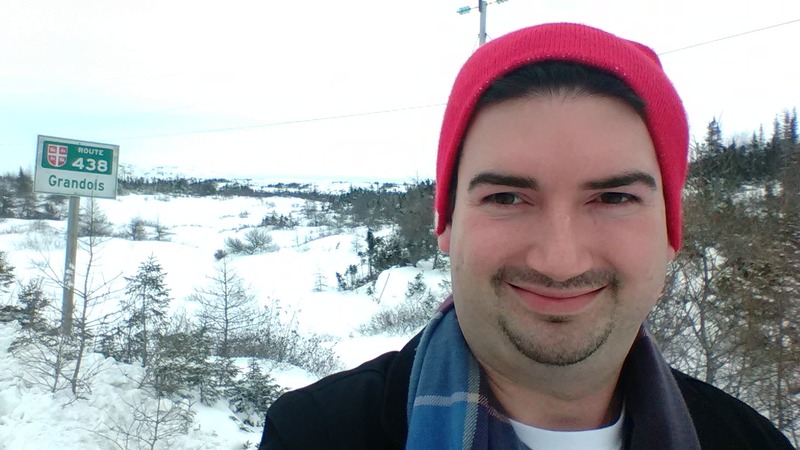 Local artist and the local arts community is still budding on the tip of the Great Northern Peninsula. I get inspired each and every time I see new product, visit people’s homes and see them rug hooking, crafting, painting or making something by hand. 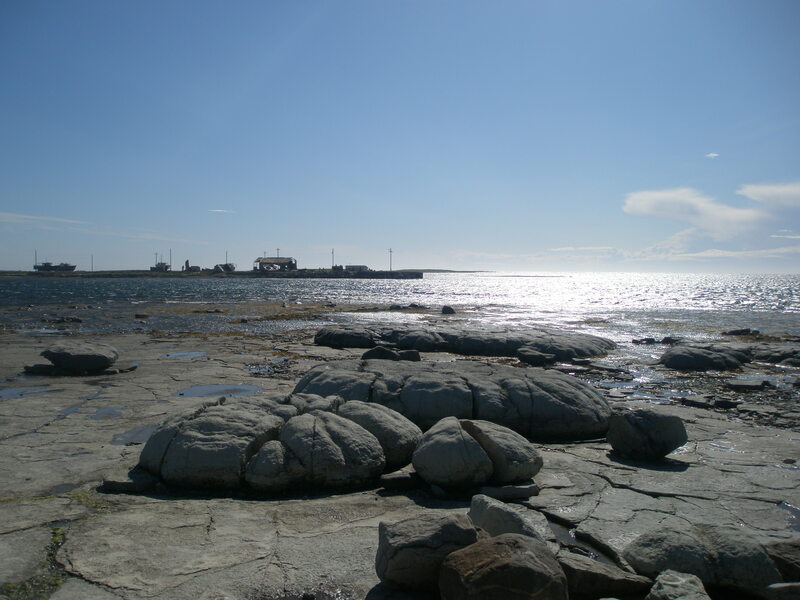 The residents of the Great Northern Peninsula have been making things by hand since the beginning of their existence – it was essential for those Maritime Archaic Indians, Paleo-Eskimo, Groswater Eskimo and recent Indians to make clothing, tools for hunting and history shows their use of chert and red ochre for face painting and design. 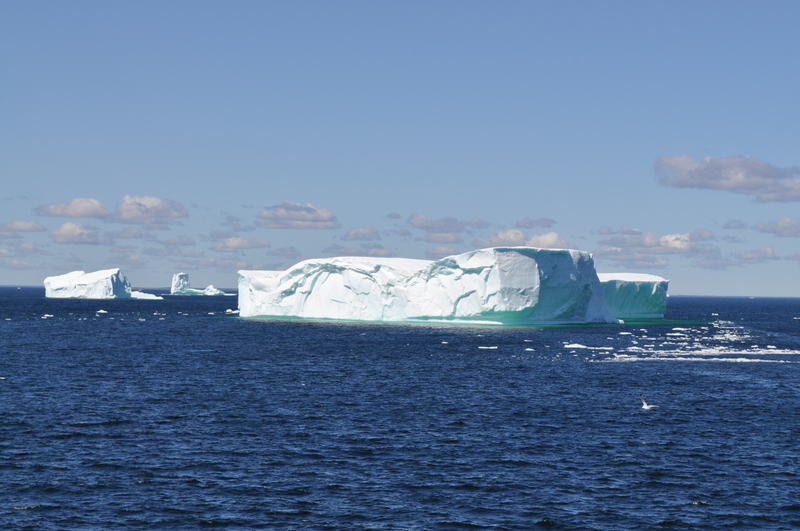 This dates us back 5,000 years ago, as the Great Northern Peninsula is the authentic place where the World Came Full Circle. It happened more than 1,000 years ago when the first Europeans to re-discover North America were the Vikings. 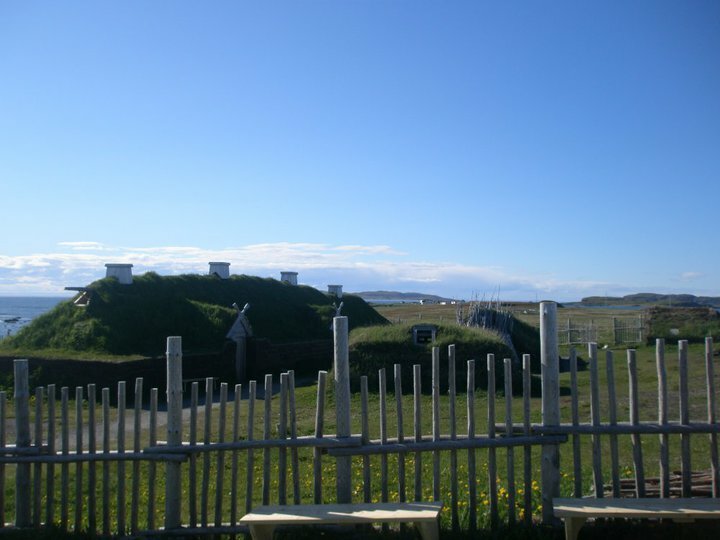 L’Anse aux Meadows World UNESCO Site, still have the remnants of the sod huts that would have been made by hand. They found many artifacts that are replicated today, including a whorl (or spindle). 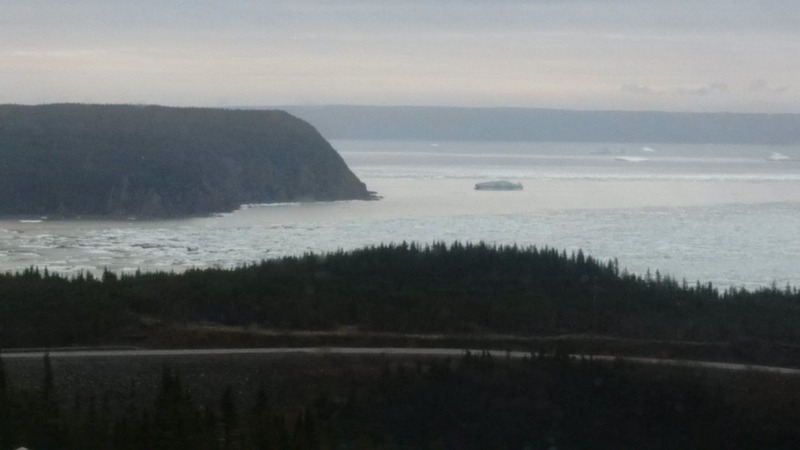 This is evidence that people on the Great Northern Peninsula have been making things by hand more thousands of years. The Basque, French & English settlers would come and reap the wealth of our natural fish, whale, seal and timber resources. 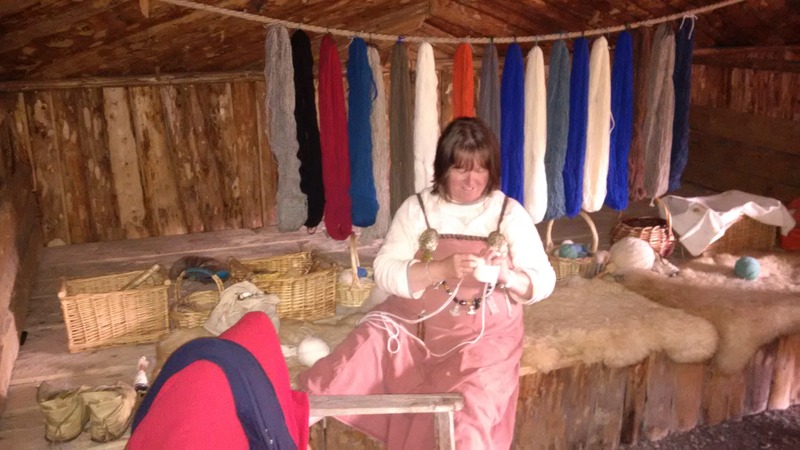 During their stays they would leave some of their culture behind, such as the clothing, the French ovens and the way they prepared for their daily lives, from the boat making to the fish flakes. It likely wasn’t until Dr. Grenfell came that all the localized art making was formally commercialized with the industrial department as part of the Grenfell Mission (International Grenfell Association). People are familiar with Grenfell Handicrafts and the rug designs of Lady Grenfell. 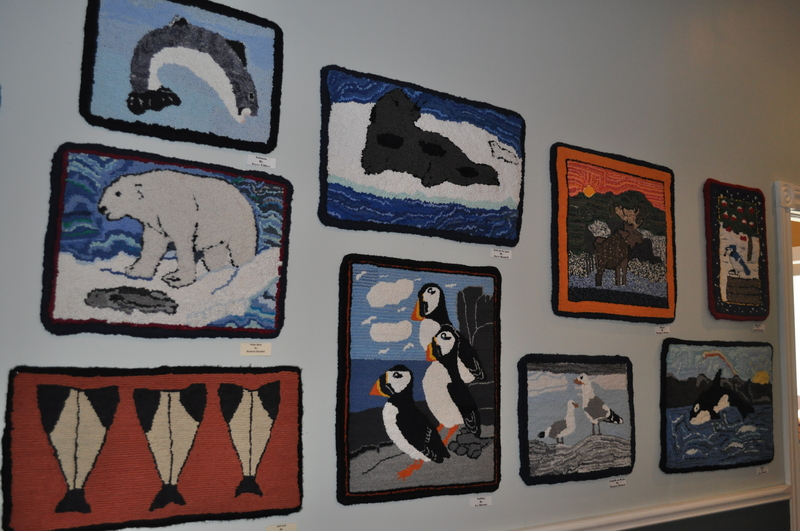 Under the leadership of Jessie Luther, the rug hooking and handicraft business had retail outlets in the United States and a network of local artist. This process flourished up until Dr. Grenfell’s death in 1940. 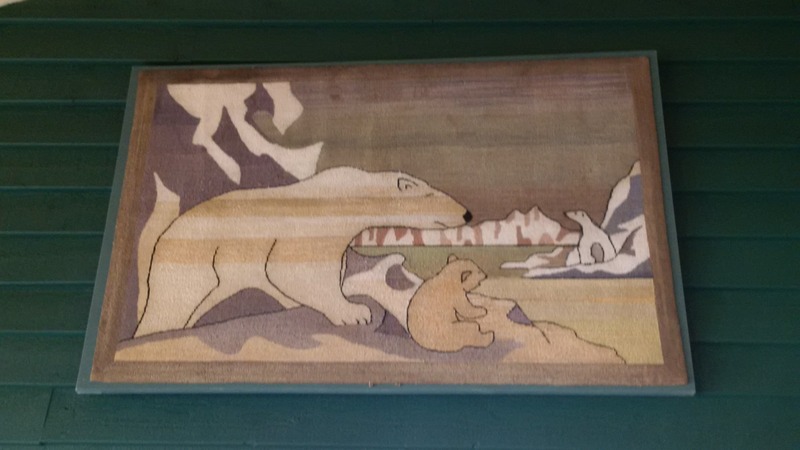 Approaching 75 years later, the Grenfell rugs are still being made on a much smaller scale by a group of local woman and for sale at the Heritage Shoppe at the Grenfell Interpretation Centre, St. Anthony, NL. Local art is so important to our region, our culture and our heritage. Let’s embrace our legacies and also capitalize on new opportunities. Art is all around us and we should be quite proud of all the art forms that are part of landscapes, community or something that hangs on a wall. Whether the Embroidered Bread & Conche caplin is hanging on your wall or at your dining table it surely makes for a wonderful memory – knowing a local person worked hard to present you with a piece of art by hand. 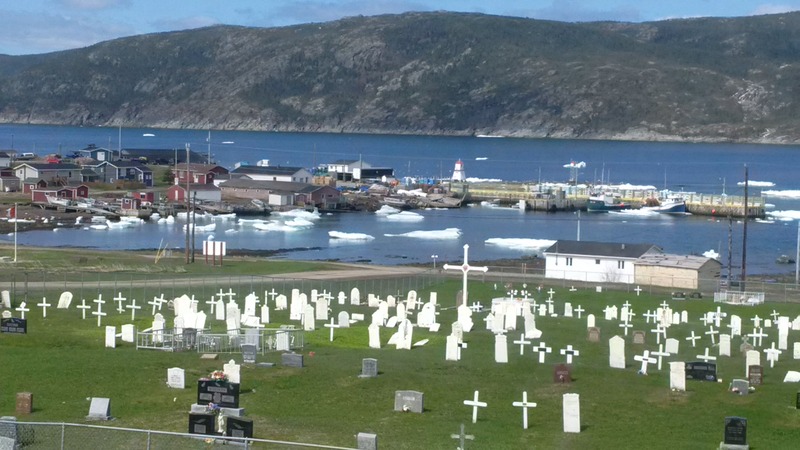 The fire still burns in the small town of Conche, Newfoundland on the tip of the Great Northern Peninsula East. 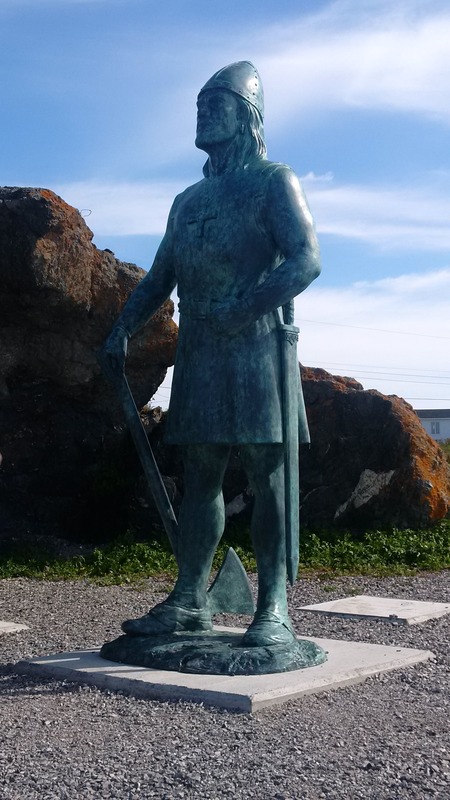 This community has embraced its storied past, which includes early visits from the French through the migratory fishery in the 17 and 18 hundreds to their shores. 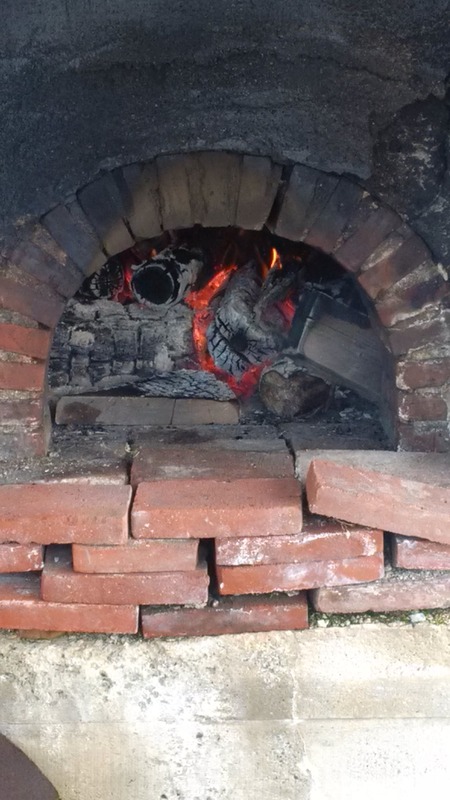 On a recent visit, the French Shore Interpretation Centre had their French oven lit, in preparation for a tour group to their Centre. The census may list the population of Conche at 181 people, but there is much more support than that for the survival of this small Town. The people of this community are hardworking, resourceful and full of hospitality. 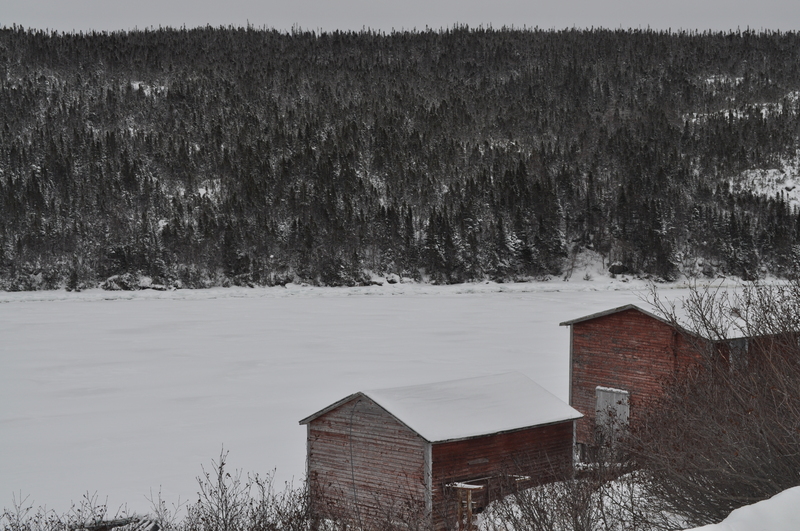 An active fish plant, Conche Seafoods Ltd., employs dozens of people from across the Great Northern Peninsula and parts of Western Newfoundland. This fishing Town is bucking the trend and seeing increased activity and additional employment, not less. A recent tender was called by DFO for wharf expansion and improvements in the range of up to $1 million. All signs of a strong economy. Each year hundreds of commercial trucks travel over a 17.6 KM gravel road. It is long overdue the provincial Government live up to its commitment and pave Route 434. The community is supported by a strong local business community and amenities for residents and visitors to engage. 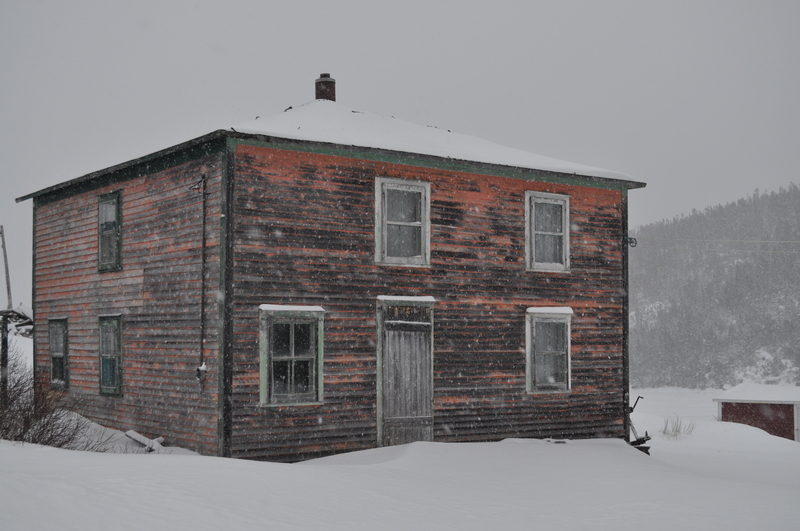 The community also has unique vernacular architecture you basically wont see in other communities on the tip of the Great Northern Peninsula. Traditional stick homes are still fashionable here and full of colour! Artists and artisans can thrive in Conche. They have talented painters, authors, storytellers, dancers and folk signers that will gladly put on a performance. Summer is when Conche truly comes to life. In 2013, Conche celebrated a successful Come Home Year bringing hundreds of residents home. The committed volunteers truly make amazing things happen in small communities. The Annual Garden party is certainly a wonderful experience for anyone wanting an authentic rural experience. 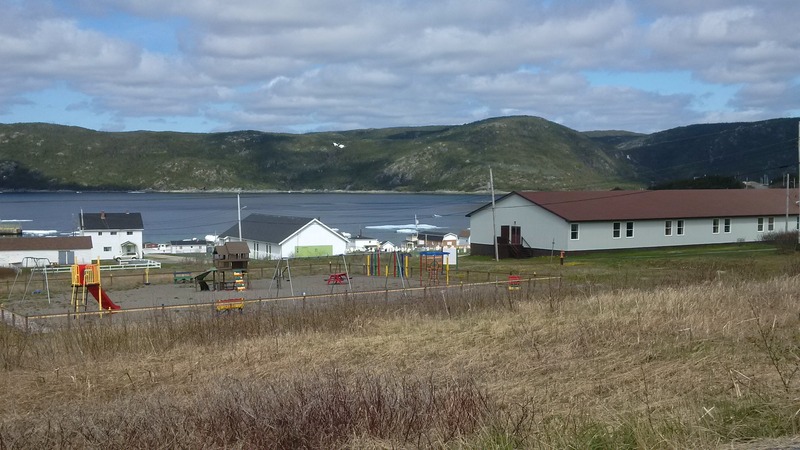 Only a few kilometres away in Roddickton-Bide Arm is a 24/7 health centre, banking, Government services and a suite of retail, manufacturing and other small businesses. Partnerships have also been established with the Mayflower Inn & Adventures to provide zodiac tours and cross-promote regional tourism. Conche benefits from strong organization (especially from their Town Council past and present), an ability to embrace their past and ability provide the services any small community would want and ensure their local businesses are supported. This is the only way in which our small communities will survive and thrive. It must be through local innovation and a strong will to give back to your friends and neighbours to ensure the services we want and expect can be provided. Small business is certainly a means to rural communities growing. Conche is one of those towns that has incredible potential to be further developed. 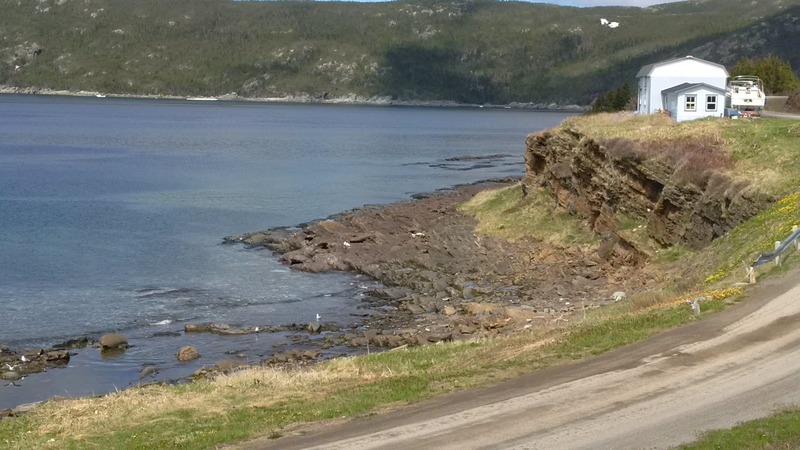 More than 2,000 tourists go out of their way to trek down this gravel road on the Great Northern Peninsula East to visit this picturesque town. 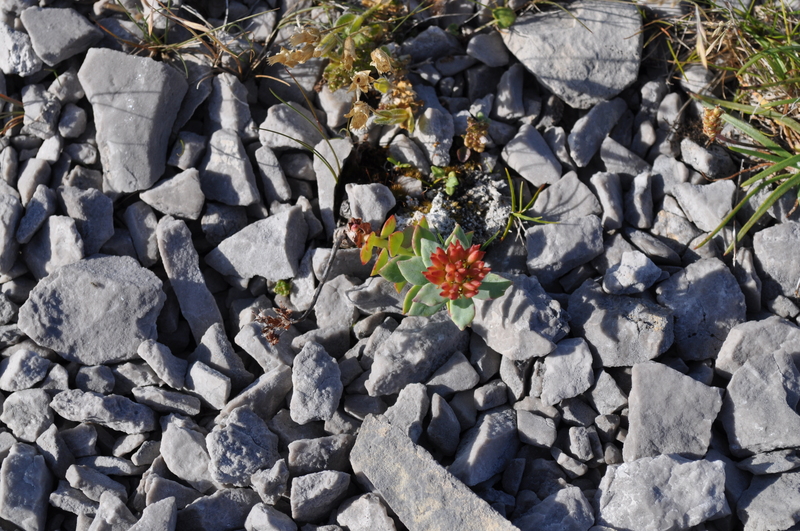 It has worked hard to establish itself as a destination. Conche is on the map for so many reasons. The establishment of the French Shore Interpretation Centre has truly helped accelerate this growth. 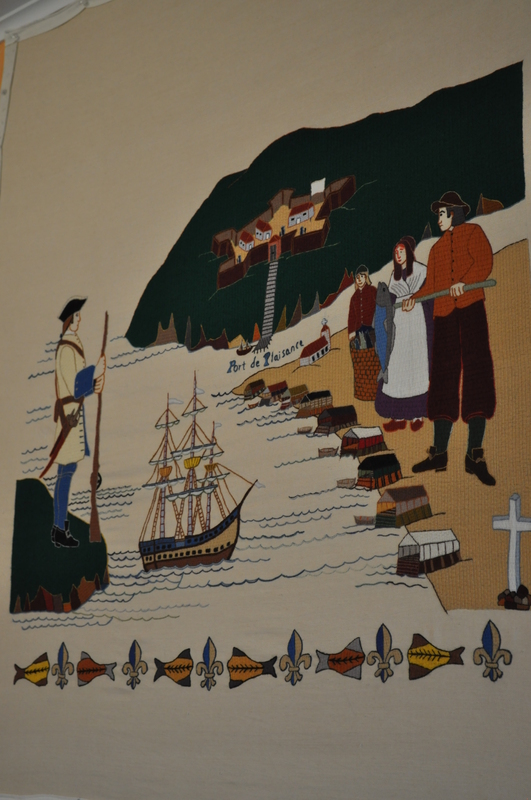 A 222-foot tapestry on Jacobian linen depicts the history of the French Shore. It is proudly on display, designed by J.C. Roy and made by the women of Conche. This summer there centre spent close to a year developing 9 new exhibits that remember the 1713 Treaty of Utrecht. This now has the potential to travel the province or other parts of the world as a touring exhibit to further promote the community of Conche. 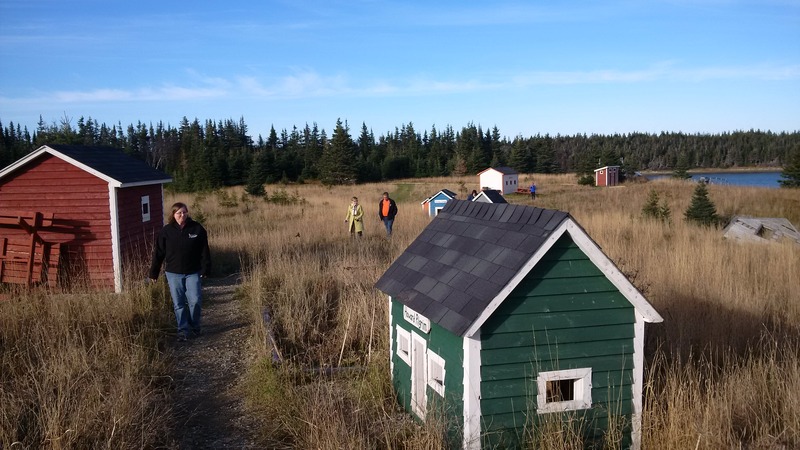 These initiatives are building blocks to growing a rural community. 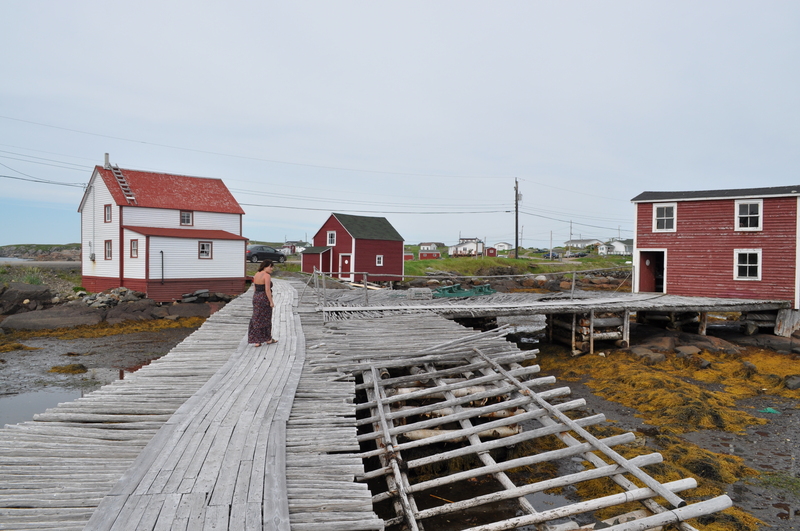 Conche is truly a destination on the Great Northern Peninsula that must be visited an experienced by residents and visitors alike. There is potential for new business endeavors in town and more development. Their success can be replicated! Let’s keep working together to build stronger communities.